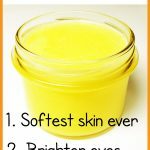 9 Magical Beauty Benefits of Bee Pollen for Skin, Hair & More - beautymunsta - free natural beauty hacks and more! The beauty benefits of bee pollen will entice you to get your hands on some because who doesn’t want youthful & beautiful skin forever?! There are actually several bee products out there besides honey, did you know? From bees we get honey, beeswax, bee propolis, royal jelly and bee pollen! What exactly is bee pollen? Bee pollen is the food of the young bee! It comprises a mixture of nectar, honey, bee saliva and the plant pollens collected by bees. It is made up of 40% protein and considered to be one of Nature’s most nourishing foods! It is an amazing superfood because it contains nearly all of the nutrients needed by the human body and its protein is in the form of free amino acids that are directly utilized by the body on consumption. Bee pollen has a LOT of health benefits but it also has remarkable beauty benefits as well! In this article, we shall be looking at 9 beauty benefits of bee pollen for skin, hair & more! Below are 9 magical beauty benefits of bee pollen for your skin, hair & more! 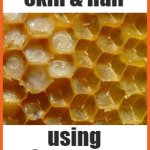 You can achieve timeless skin by regular consumption of bee pollen! It contains an extremely high amount of antioxidants that ward off free radicals that come from sun rays, toxins, chemicals, pollutants & environmental impurities! This prevents lasting damage on your skin in form of wrinkles & fine lines. Bee pollen contains natural antibiotics that suppresses acne by killing acne causing germs. If your skin is damaged by acne, a.k.a you have hyperpigmentation, skin inflammation & scars, eating bee pollen helps! It’s anti-inflammatory properties plus high cell turnover effects make acne prone skin clearer and blemish-free! Take bee pollen internally to speed up healing of wounds through faster cell regeneration and strong immunomodulatory & anti-inflammatory effects. It increases skin building minerals like silica in the body which builds skin cells. You can take one 500mg bee pollen capsule three times a day to heal your wounds faster. Antioxidant Bee Pollen Facial Mask: In a small blender, add the flesh of half an avocado, 1 tsp fresh lemon juice, 1 tbsp bee pollen granules and 1 tsp raw honey. Blend till smooth and store it in a sealable container in the refrigerator for up to 10 days. Massage 1 tsp of this facial mask on your whole face, avoiding the eyes. Let it soak up for 15 minutes then rinse off for glowing skin! Want to flaunt beautiful locks?! Then eat bee pollen (about a tbsp) daily. The best way to eat it is by adding it to smoothies or milkshakes! It strengthens the hair roots so your hair will stop falling out often. 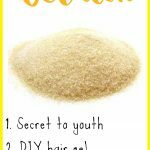 It will also make your hair lustrous and shiny! You can also add bee pollen to your shampoo by dissolving 1 tsp of bee pollen in 1 tbsp of your favorite shampoo overnight. Shampoo in the morning and enjoy beautiful hair! 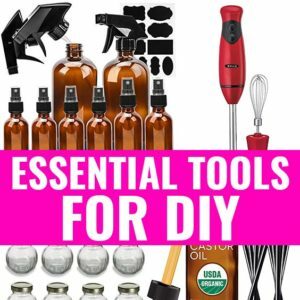 Do you have nails that easily break? You can make them stronger and even grow longer without chipping by consuming bee pollen! Bee pollen contains carotenoids, flavonoids and phytosterols which promote cell regeneration. 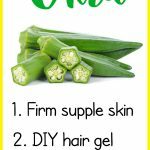 This improves your skin’s appearance, tone and complexion! Combine bee pollen with ingredients like witch hazel, rubbing alcohol and vegetable glycerin. This makes a natural facial astringent that is nourishing and skin tightening and the same time. Nourishing Facial Astringent: In a sealable jar, add 1 tbsp each of rubbing alcohol, vegetable glycerin and bee pollen. Next pour 8 oz of witch hazel into the jar. Shake gently to combine everything and set aside so the bee pollen dissolves completely. To use, dip a clean cotton ball in the mixture and gently dab all over your clean and dry face. DIY Egyptian Magic: In a double boiler, gently melt ½ cup olive oil and 1 ½ beeswax pastilles over low heat. Once melted, stir in 1 tbsp raw honey, 1 tsp bee pollen, ½ tbsp bee propolis and ½ tbsp royal jelly. Now get a hand mixer and whip the mixture together till you get a well combined thick cream. Transfer the cream into an air tight container like a salve tin. Use on your skin as a face cream, body cream or hair mask! I’m so excited for you guys to enjoy the above spectacular beauty benefits of bee pollen! It’s truly a magical product for natural beauty! 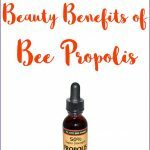 Top 10 Beauty Benefits of Bee Propolis for Hair, Skin & More!